We have more big news to share with you this week. We’re excited to announce that we are involved in trials with Heathrow, to explore biometric travel for passengers. With annual passenger volumes rising, airlines and airports are looking to technology to transform airports as we know them, reducing queue times, increasing security standards and importantly, delivering an enhanced customer experience that puts them in control. 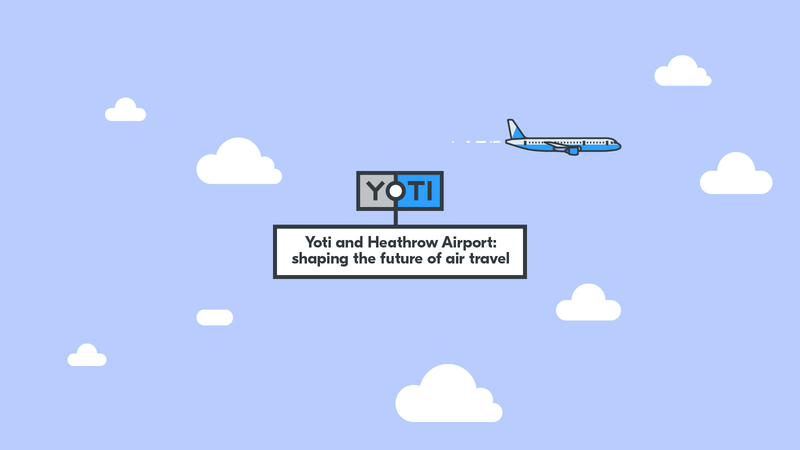 An initial proof of concept allowed participating Heathrow staff to use the Yoti app to share their verified passport information and facial biometric to check-in to their flight. The process takes a matter of seconds, sharing their verified information at the touch of a button. No web forms needed, and all done from the comfort of their own home, something that has not been done before. This shared information was combined with the boarding pass to create a unique token linked to the passenger’s biometrics, meaning their facial information. Arriving at the airport, the passenger simply scans their boarding pass at the relevant checkpoint and looks into a camera. If the face detected by the camera matches the face linked to the boarding pass they can continue, whether this be to complete bag drop, pass through ticket presentation or board the aircraft. The International Air Transport Association (IATA) predicts that passenger numbers will double over the next 20 years. Which means that travel as we know it today will have to evolve in order to keep up with this growth. The challenge for airlines and airports will be in delivering a seamless passenger experience, whilst maximising airport capacities and preventing bad actors from crossing borders. By enabling passengers to create a token before they arrive at the airport, we can reduce queues at key bottlenecks and create a better passenger experience. To learn more about the work we’re doing in the world of travel, please email gavin.watts@yoti.com.